A LIVE theatrical performance is like no other experience … and some shows you just have to see in person. Coming up at the Bankhead are three shows we really think you’ll be sorry if you miss. OK, so maybe you’ve never heard of them … and even if you read about them, you might not know what to expect, but we think these are shows you’ll go home wishing you could see all over again. It’s a concert, it’s a party, it’s the best singing, dancing, stomping pub show you’ll ever see! 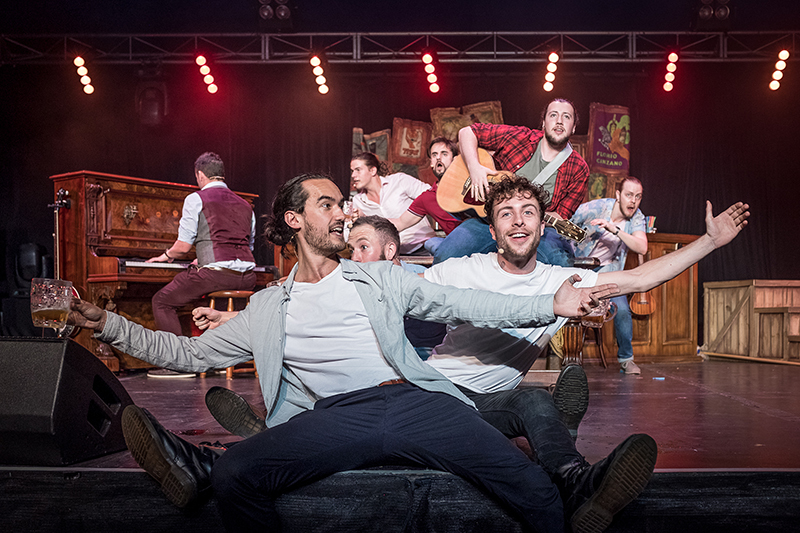 The Bankhead stage will become a real working pub with nine “handsome blokes” singing everything from pub songs to pop hits while they dance, stomp, laugh and pull pints for members of the audience. Hops and Sessions, Livermore’s only self-pour tap room has selected local craft beers for the event. This is a truly unique and wildly energetic show. Check out the video. Then grab a friend, grab a pint and join the fun! SPECIAL OFFER! Buy one ticket, get one free! Use Code: BEER at checkout. Cirque Éloize has been called “Cirque du Soleil’s hipper, sexier cousin.” The famed Canadian group is known for their high-energy acrobatics, inventive chorography and unique storytelling style. In this Wild West tale, set to the timeless songs of Johnny Cash and Patsy Cline, the beautiful Belle and her beloved cowboy set off on a chase worthy of the greatest Westerns. 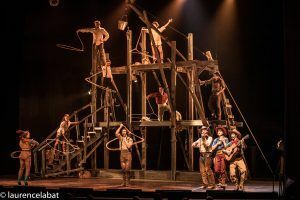 Swing open the saloon doors and lasso up some fun for the entire family with the biggest cirque show we’ve ever had on our stage. Check out the video and get your tickets before they disappear into the sunset! Perhaps the most unusual show we’ve ever welcomed to the Bankhead, “Currents” by Tel-Aviv-based Mayumana was inspired by the historical battle between Thomas Edison and Nikola Tesla on their quest to find energy sources for the world. 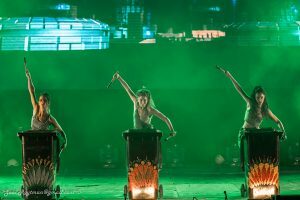 The combination of dramatic choreography, original musical instruments, video projections, lights and visual effects creates a mesmerizing spectacle that has what The New York Times called “an infectious beat and physical pyrotechnics to match.” Impossible to describe, impossible to forget, this is a breathtaking visual adventure you have to see to believe. Watch the video and get the jump on tickets now.